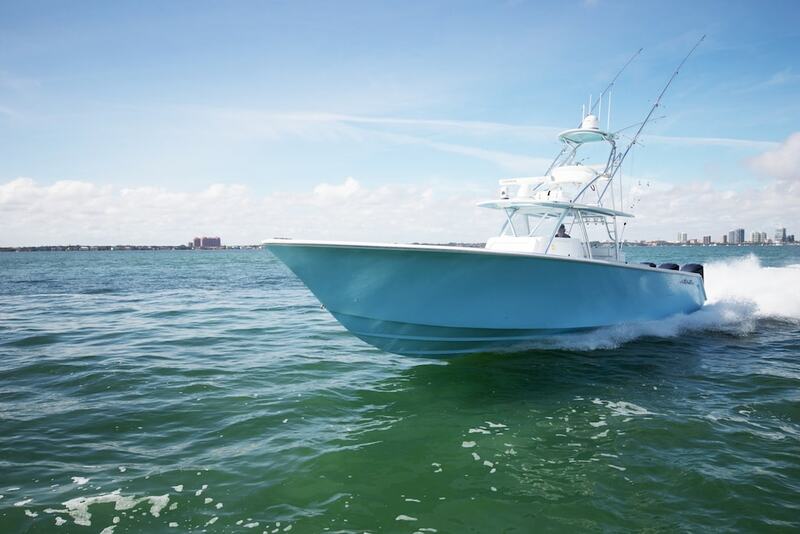 When you think “Battle Wagon”, you think of plodding diesel powered convertibles wallowing in big seas, captains screaming down to the pit with deck hands and charter customers enveloped in black diesel fumes…the game just changed. 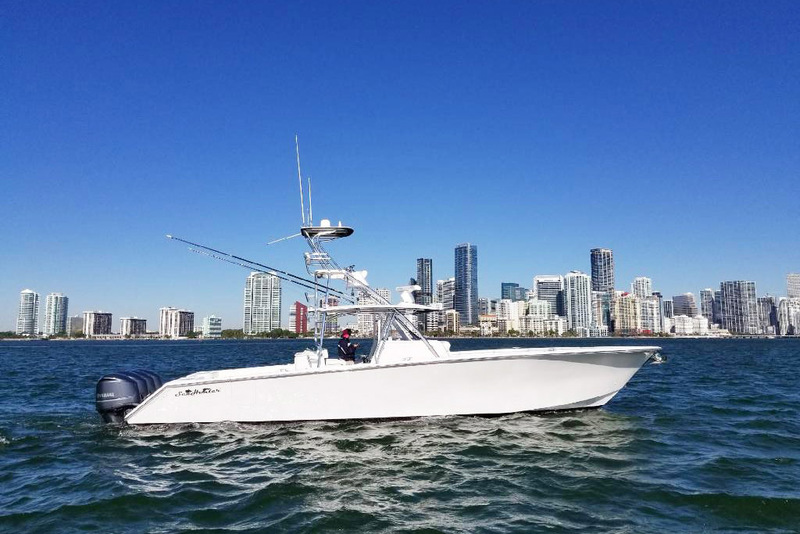 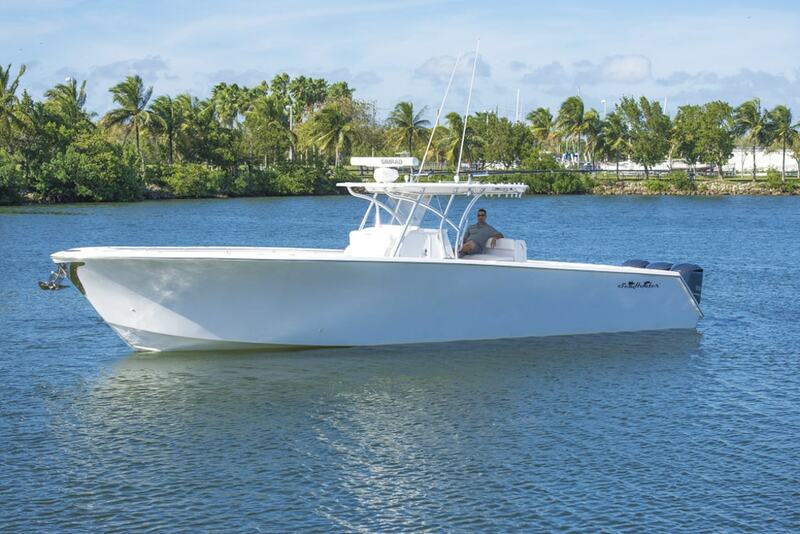 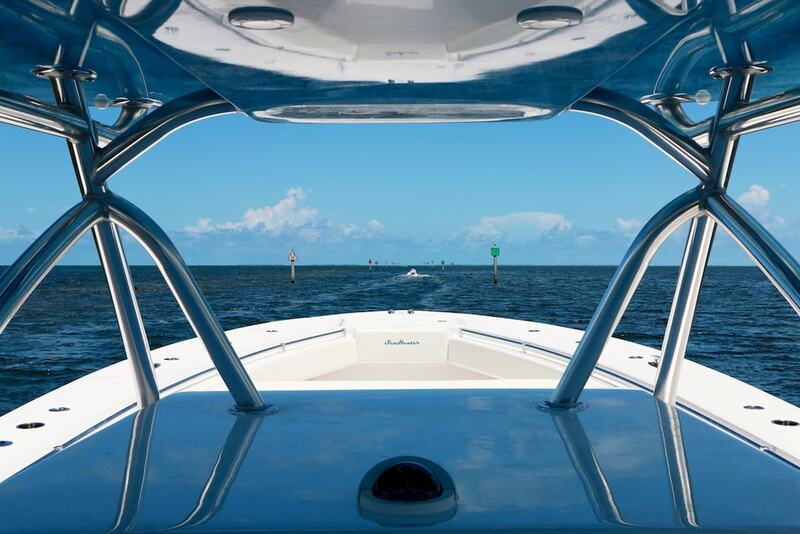 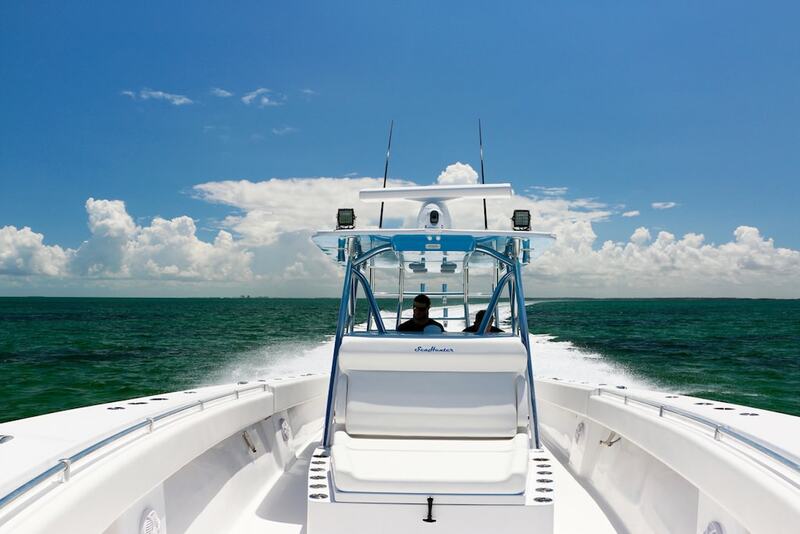 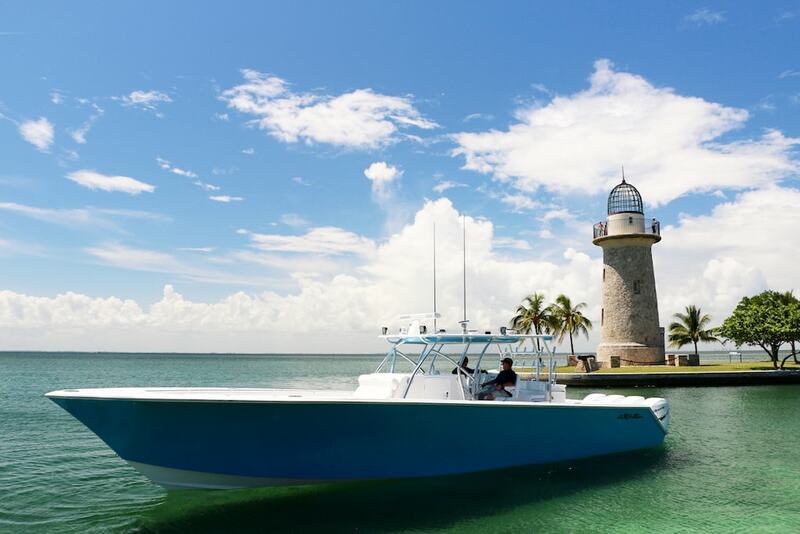 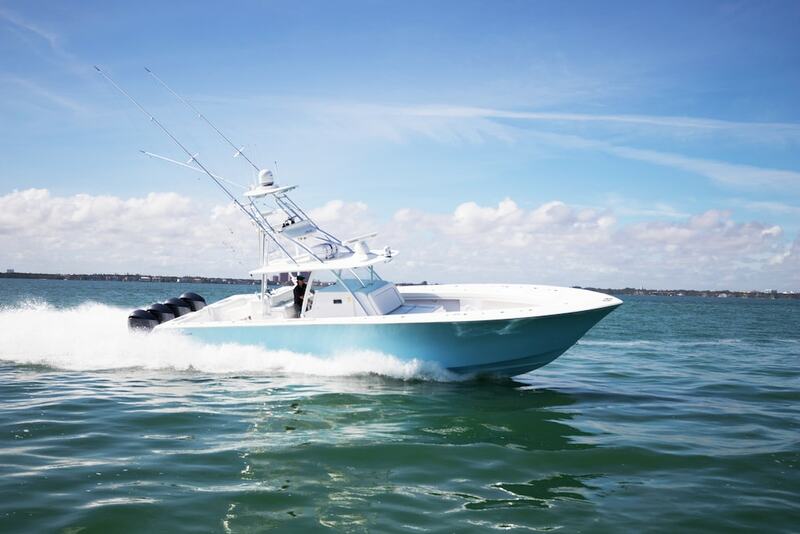 The SeaHunter 45 Tournament is a quad powered monster capable of 60mph plus speed and a wave smashing hull that can take you 600 miles in ANY conditions. 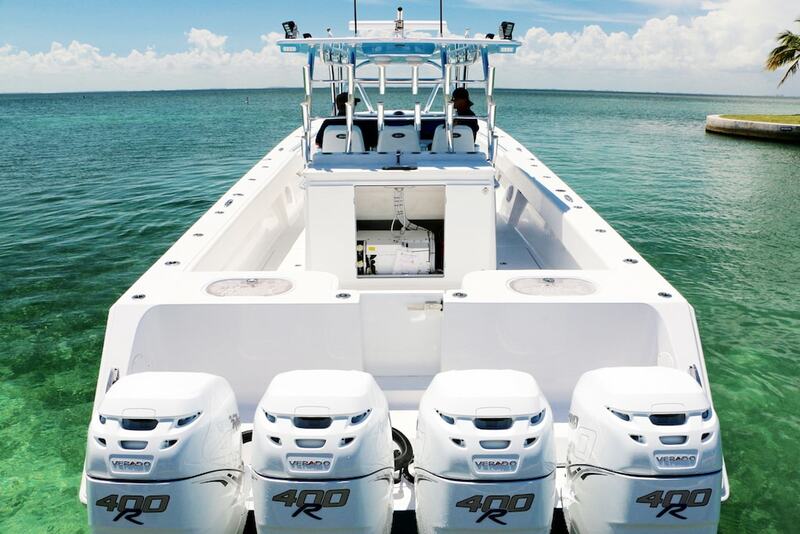 SeaHunter is known for providing a fast, smooth ride across rough chop, and the 45 is no exception to this. 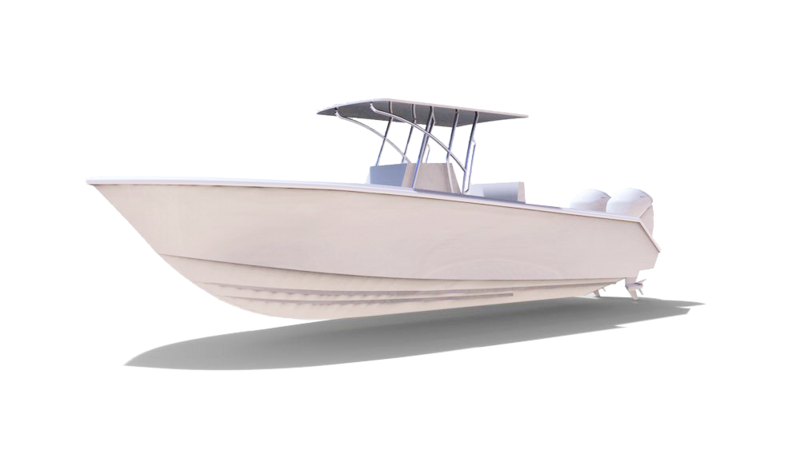 Designed with speed and range in mind, this model is the perfect mix of stability, comfort and efficiency. 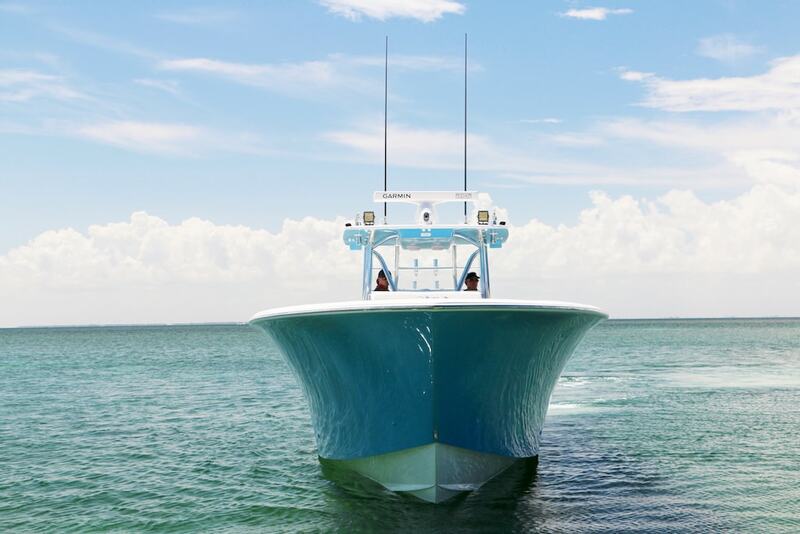 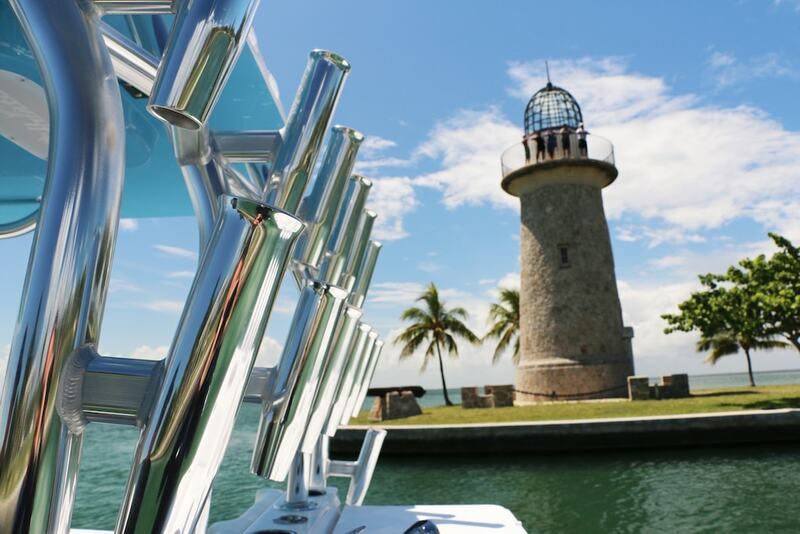 With over 600 miles of range on a single tank of fuel, there are few places this boat can’t go. 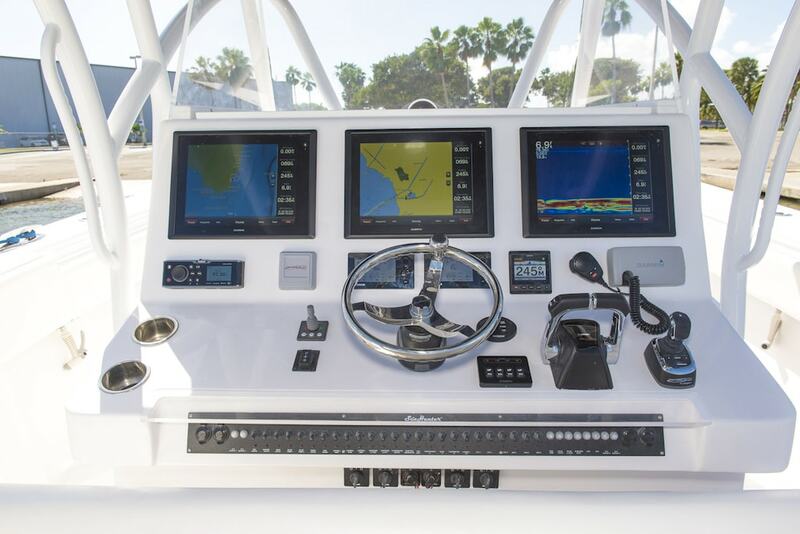 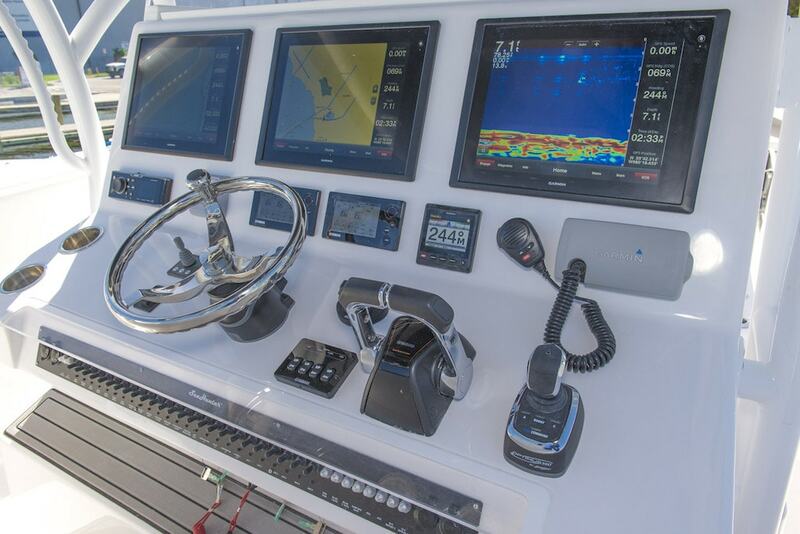 The layout on deck is enormous; offering one of the largest square footages of any of other boat in its class. 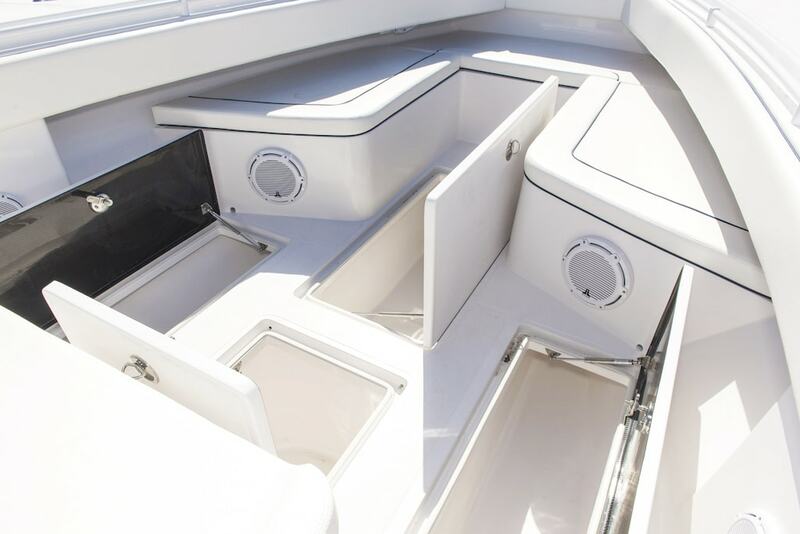 Below deck, you’ll find a queen-size bed, head, sink, microwave, and television– all in a comfortable, air-conditioned console/cabin. 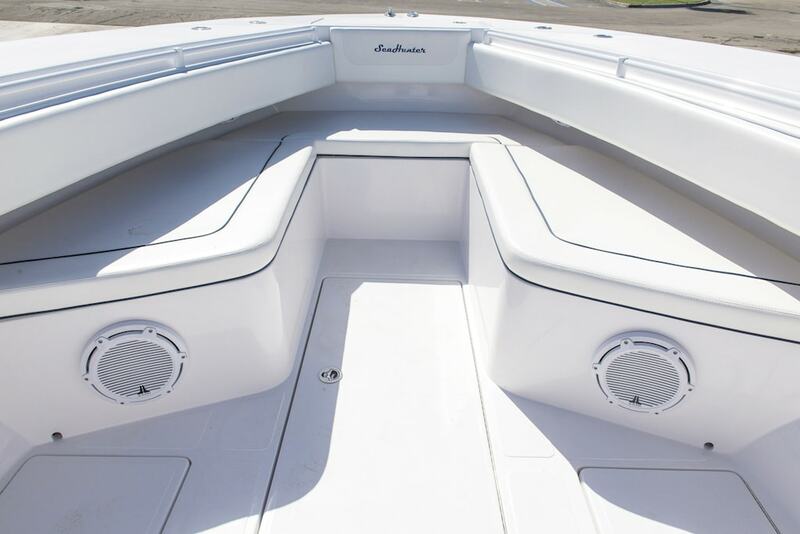 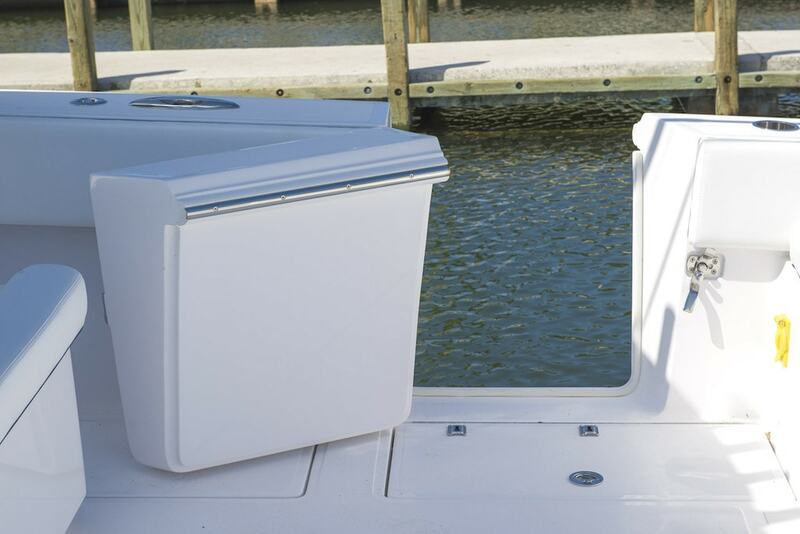 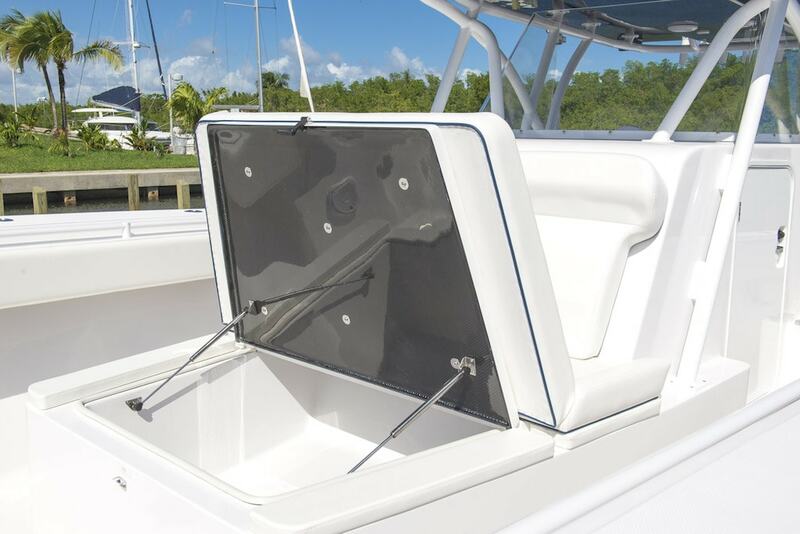 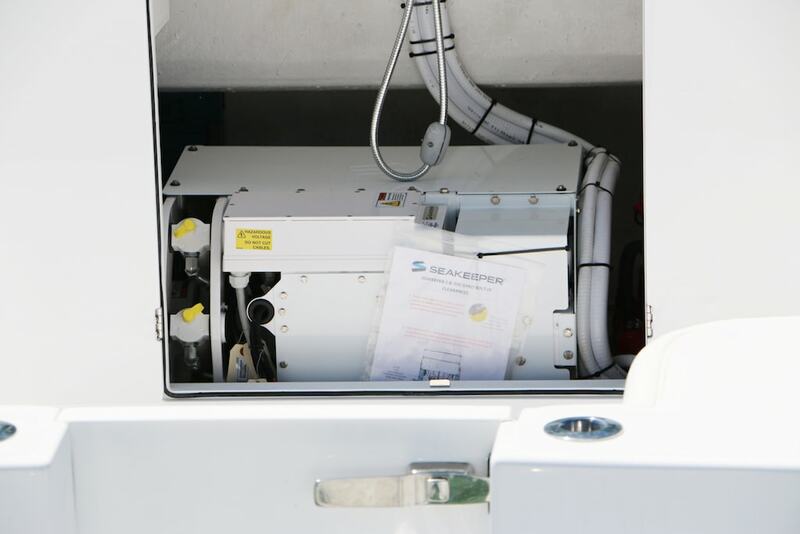 This boat features three massive live wells, multiple seating options and various outboard configurations. 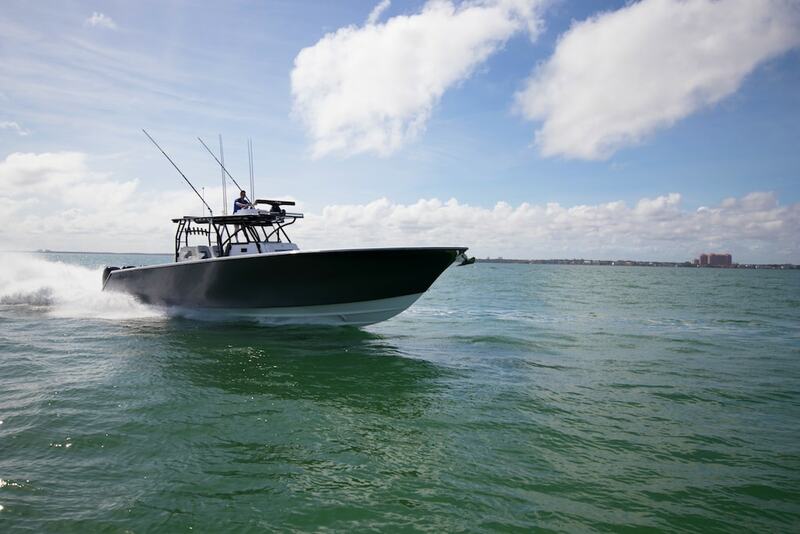 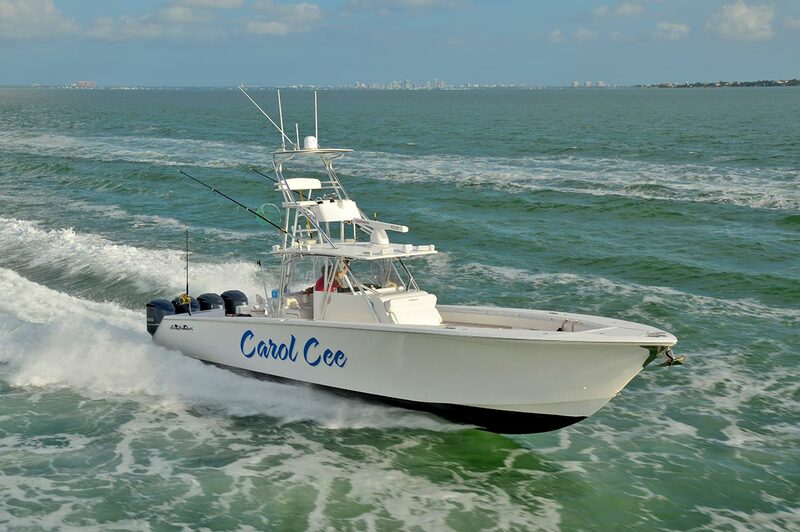 A 60-degree entry and 24.5 degree deadrise, make plowing through the roughest seas at 60+ MPH seam effortless. 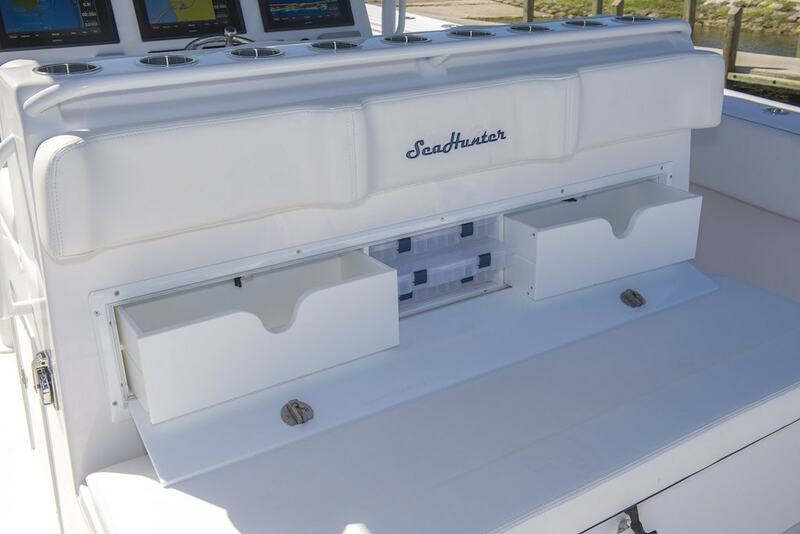 Discover for yourself why this is, hands-down, the best tournament center console in its class.